Property 1: Brand New Cabin:Convenient to Everything the Smokies has to offer! Property 3: LAST MINUTE CANCELLATION APRIL 15-18 AVAILABLE! great rates PET FRIENDLY! Property 6: 'Honey Bear Lodge' Gatlinburg Resort Cabin w/Spa! A Black Bear's Trail/ Game Room /Perfect Location to Dowtown!! Property 7: A Black Bear's Trail/ Game Room /Perfect Location to Dowtown!! Property 13: Great For Couples.. Great Location. Close To Downtonwn Gatlinburg. Spring Special $99 Per Night Thru End of April and Great Location!! Property 14: Spring Special $99 Per Night Thru End of April and Great Location!! BEAR-A-BOUT $119.00 a nite with 3 bedrooms, 3 baths ! Property 15: BEAR-A-BOUT $119.00 a nite with 3 bedrooms, 3 baths ! Downtown Perch, Location, Location, Location!!!!! Property 18: Downtown Perch, Location, Location, Location!!!!! Property 19: Gatlinburg, Private , Hot Tub, Fireplace, Pool Table, Close to Attractions! Nightly Specials Spring, Fall & Winter., Weekly only in summer. FAST WiFi! Property 20: Nightly Specials Spring, Fall & Winter., Weekly only in summer. FAST WiFi! Everything You'll Need/Close to Pigeon Forge & Gatlinburg. Property 21: Everything You'll Need/Close to Pigeon Forge & Gatlinburg. Property 24: Cozy Log Home 3 Minutes From Downtown! Property 25: Great Mountain View_Luxurious King Suites! Cloud Nine: Charming Mountain Cabin, Amazing Views! Property 27: Cloud Nine: Charming Mountain Cabin, Amazing Views! Honey Bear in Pigeon Forge #unforgettable 1BR w/ Gameroom, Heart Tub & Mountain Views! Property 31: Honey Bear in Pigeon Forge #unforgettable 1BR w/ Gameroom, Heart Tub & Mountain Views! Property 36: Knotty Pine - Book now for summer!! Property 40: $108 A-NITE MAY ONLY-PRICE SLASHED-HUGE HOTTUB! 2 COVERED DECKS! STUNNING VIEWS! Property 42: Brand New Cabin Within Walking Distance To Downtown Gatlinburg. 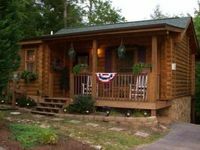 Property 43: HONEYMOON HIDEAWAY - ROMANTIC ANTIQUE LOG CABIN CLOSE TO EVERYTHING!!! Gatlinburg Cabin w/ Private Hot Tub & Mtn Views! Property 46: Gatlinburg Cabin w/ Private Hot Tub & Mtn Views! There is nothing better than getting away to a romantic cabin in Gatlinburg with fanastic views. 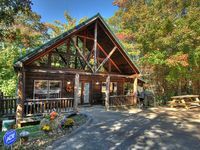 Property 48: There is nothing better than getting away to a romantic cabin in Gatlinburg with fanastic views. Property 49: Visit the Smokies this Spring! - Follow Me to Tennessee! Inquire now! Property 50: 'Two Hearts' Gatlinburg Cabin w/ Great Amenities! Cozy and comfy far enough away from town to be away from crowds of Gatlinburg. I did not give 5 stars only because when renting you are forced to buy a 59 $ insurance policy or pay 1500 up front which has is small print non refundable???? I'm assuming renters are usually pretty respectful of others property when spending a lot. Why make them buy an insurance policy? Why not charge 350$ deposit refundable if no damages? We enjoyed our stay in the Wild Things cabin VERY much! My teen boys loves playing pool and video games in between our hikes and other activities in the area. Beds were very comfortable. We would come back for sure, and my kids are already requesting this same cabin. My only suggestion would be to have more towels available- we ended up doing a lot of laundry between towels used for bathing and towels needed for after the hot tub; but we do have a larger family. Also, after about 4 days the hot tub needed more chemicals for the water to stay clean and fresh smelling. We enjoyed relaxing in it everyday of our stay, but towards the end of our trip the water started to smell. Those are very minor though, and we thoroughly enjoyed our time at the cabin. Thanks for helping to make our first family trip to the Smoky Mountains a wonderful memory!